By participating in the INVEST IN ALAMO program you are investing directly in your children’s education. Your support enables parent-sponsored enrichment programs such as music, art, literacy, physical education, library supplies, field trips, computer science and technology. Parent contributions are essential to continue and expand these important programs. We suggest an investment of somewhere between $350 and $1,500 over the school year depending on your income level. This range is just a suggestion, so please contribute something you are comfortable with! Our overall fundraising goal for the 2017-18 school year is $325,000. We want to hear from every family at Alamo. The first 225 Invest in Alamo donors will each receive this beautiful new Alamo car magnet! Thank you for your feedback and financial support! Donations may be paid by check or PayPal. Checks and forms may be placed in the PTA drop box in the school office. Your employer may match your donations, doubling the benefit! 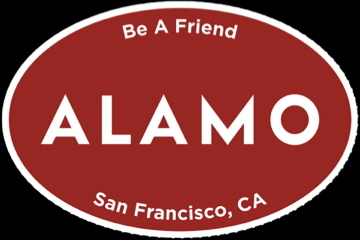 If you plan to do an employee match, please write your donation to “Friends of Alamo School Foundation.” The Friends of Alamo School Foundation Tax ID # is 94-3255075. Please see our partial list of Bay Area companies that match gifts. If your company is not on the list, please check with your Human Resource Manager – we can help with the required paperwork.